WILL the multi-million underpass project on N. Bacalso Ave. alleviate traffic congestion in the area as planned? If it won’t, Cebu City Councilor Joy Pesquera said she will file charges against the Department of Public Works and Highways (DPWH). “I will go after them (and lodge) graft charges because supposedly a project of the government should be a solution to the problem, not a source of problem,” she told reporters. Pesquera’s pronouncement came after the City Council invited representatives from DPWH 7, Cebu City Transportation Office (CCTO) and WT Construction Inc., the project contractor, to an executive session yesterday. 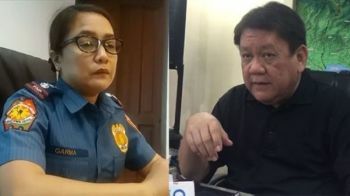 Although only six members of the council, including Vice Mayor Edgardo Labella, were present, the executive session lasted for more than an hour. Except for Labella and Councilor Jerry Guardo, Councilors Dave Tumulak, Margarita Osmeña, Edu Rama Jr. and Pesquera all hail from the south district. Tumulak, Rama and Pesquera, residents of Barangays Basak Pardo and Kinasang-an, respectively, have to pass through the depressed area surrounding the project site of the P700-million underpass every day. In a privilege speech last March 6, Pesquera, who sponsored yesterday’s executive session, said some business establishments near the construction site have reportedly been forced to either cease operation or consider closing their business because of revenue losses. Crying foul over the inconvenience brought about by the project, the councilors raised several concerns to the invited guests. Among those that hit close to home to the south district councilors were concerns on road widening. According to Engr. Roy dela Cruz, DPWH project engineer, once the project is finished, there will be one side road each for northbound and southbound lanes. Both northbound and southbound roads of the tunnel will also have one lane each for vehicles. He explained that the project’s budget can only afford one lane each for the tunnel, and one lane each for the side roads. “Based on the general plan, we intended to put two side road lanes but due to budget constraints and problems with acquisition of road-right-of-way (RRW), we had to adjust,” dela Cruz said. For the councilors, the roads should have been widened first before the underpass’s construction started. “This instance is why people complain about government. For me, common sense will tell us to widen roads first,” Rama said. But dela Cruz clarified that the underpass project did not include a contract project concerning RRW. He said that there was originally a separate road-widening project near the underpass’s site concerning the rehabilitation of the drainage system, but it was shelved. However, this does not mean that the DPWH has abandoned the road-widening project, he said. “They are still negotiating, but the sequence of work has now been reversed. There is really an intention to pursue the road widening and acquire RRW,” dela Cruz said. “I am from the south, but I live in Guadalupe so I don’t get to pass there. Calling it a depressed area seems to be really fitting, but it’s not even funny anymore. From what I hear from my colleagues in the council, it seems that the situation in the area really is hell-like,” she said. As of March 25, dela Cruz said the underpass project was already 68 percent completed. “Although our initial expiry date is on March 2019, our target is to finish it by December 2018, granted that there will be no other delays like bad weather,” he said. Tumulak, for his part, asked the contractor if their personnel could work 24 hours to fast-track the project’s completion. A representative of WT Construction said that would be impossible since some of their work, especially excavation, may disrupt activities in nearby establishments and residential areas. He said work at the site ends at 11 p.m.
“But there is still a need to inspect the site and monitor your personnel. We’ve received reports that they stop working at 6 p.m. We have to fast-track the construction because it has been causing great inconvenience already,” Tumulak said. Cebu Business Club (CBC) President Dondi Joseph, speaking during the 888 News Forum at the Marco Polo Plaza Cebu yesterday, echoed the councilors’ sentiment that the agency should have widened the road first before implementing the project. The additional lanes could have served as detours during the project’s implementation, and these might have prevented the heavy traffic that commuters in the area currently experience almost every day, he said. “Instead, they (DPWH) preferred to build a house from top down,” he added. But DPWH 7 Director Ador Canlas said the underpass project called for service roads on both sides of the underpass.